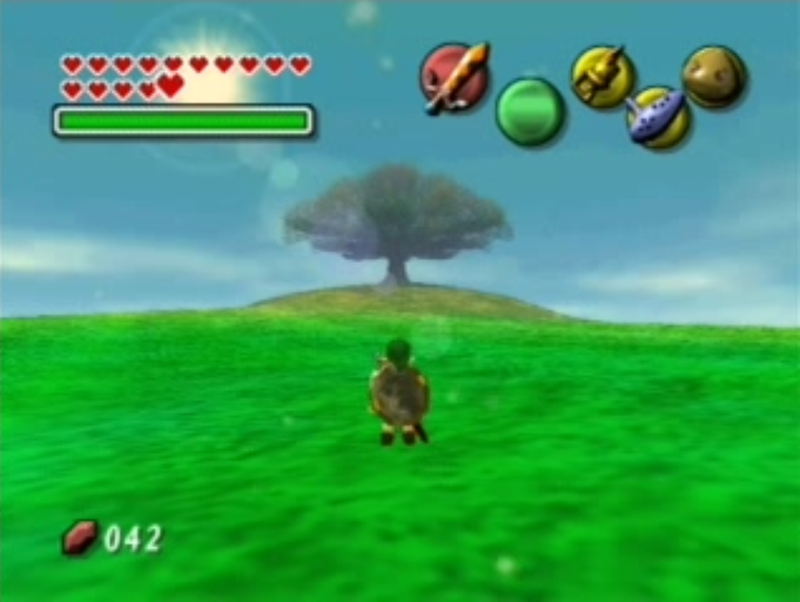 In anticipation of Majora’s Mask’s 10th birthday tomorrow, here is another one of our classic Majora’s Mask articles. This article is a little bit lesser known as it came during a period of time when this site was still very young. Enjoy the read! and not ZeldaInformer as a whole. That said, enjoy the article! with him. With these facts in mind it is time to move to the first part of the article. masks originated from a living being, they all embody someone’s spirit. 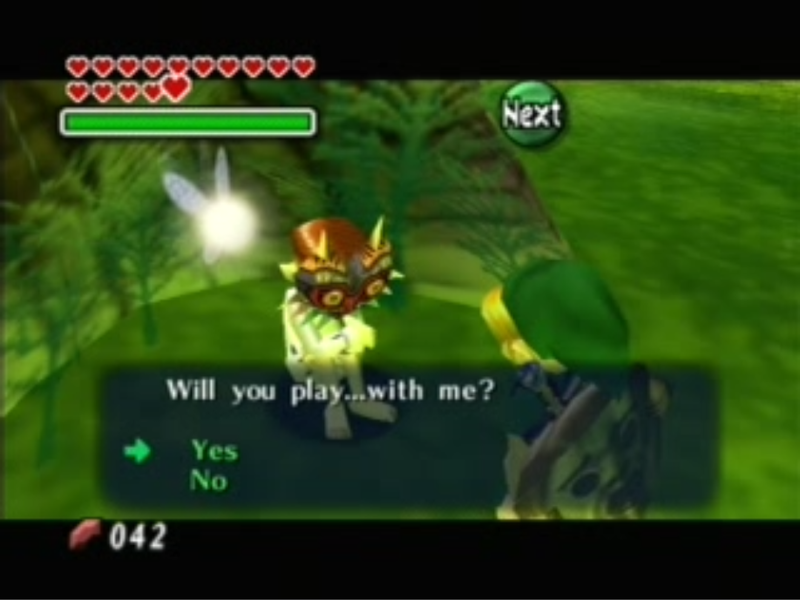 on the moon supports this statement because of Majora’s personality. goes in favor of this theory. playing. 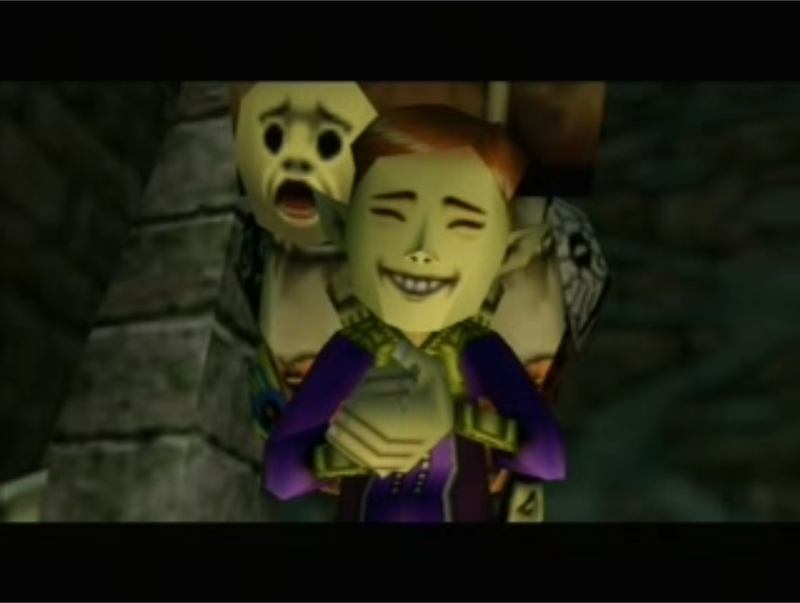 It is because of Majora’s Mask, the very mask the child is wearing. of which can be defined as any normal creature. change into a different form. This can be interpreted as playing along. put on a mask and pretend to be someone else. Deity mask never existed. 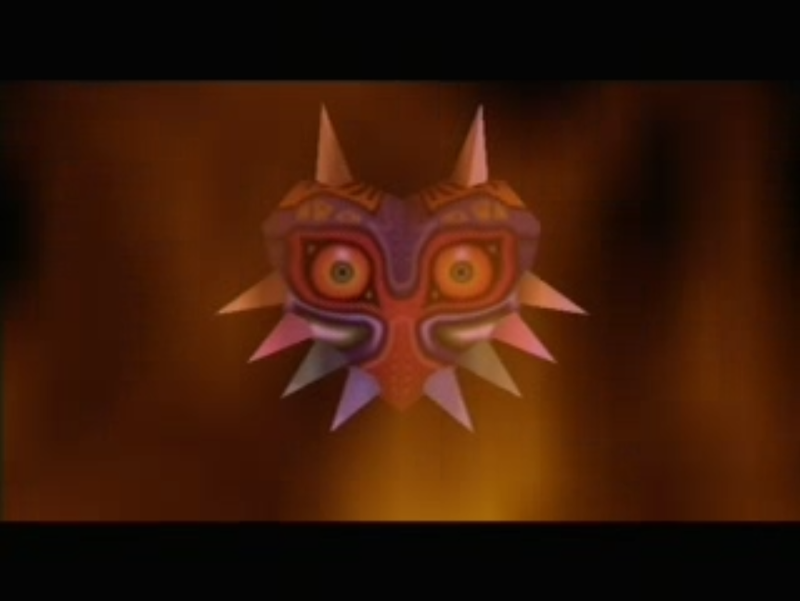 It was all just a product of Majora’s mind. There is however, one issue which might blow the above theory apart. One of the gossip stones in Ikana says that “the Fierce Deity Mask is somewhere in this world”. This naturally goes against the idea that the mask was merely a figment of Majora’s imagination, but the thought is still interesting. when the event originally occurred. happened over and over again, each day anew. It is safe to assume that if the situation did play out like that, the kid with Majora’s Mask became jealous, sad, and angry. tiles in A Link to the Past through which Link could hear Sahasrahla. 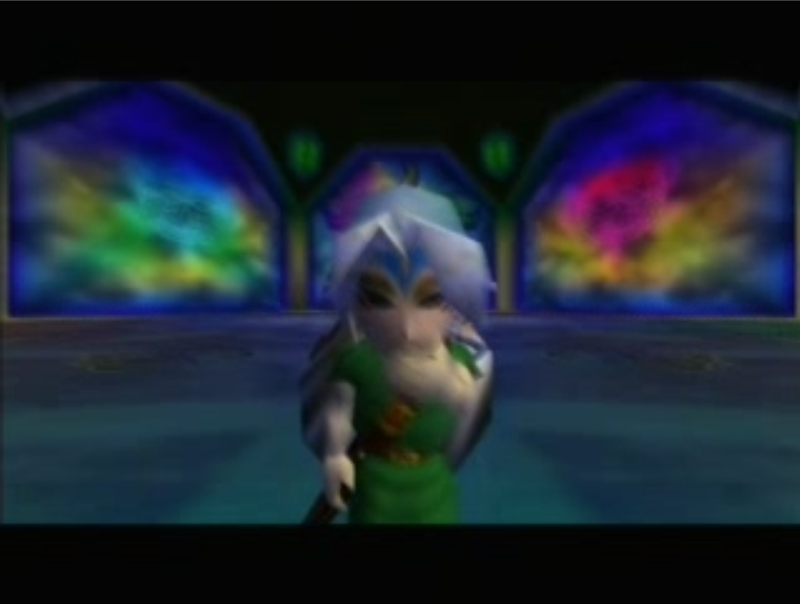 and origin of Majora’s playful nature remain a mystery. the child didn’t get any attention from the other children. more ancient than the tribe which used it. puts on the mask again and plays with Link again. resemble the Happy Mask Salesman, who is known for his weird nature. over with the words “You have met an ill fate”. probably conclusion is simply that the Happy Mask Salesman isn’t human. hylian, but rather as being supernatural. want to remember so it’s portraying them like that. and how he could find it. portrayed like it for the other reason mentioned above. thought of it in such details will probably remain a mystery.